ComReal is in the Zone… the Miami Free Zone that is. ComReal Miami recently relocated its Industrial Division into a 2,000 sq. ft. office space located in the mall level of the Miami Free Zone in the City of Doral. Their new address is 2335 NW 107th Avenue, Doral, Florida, 33172 in Suite #2M02, Box 126. The ComReal Companies, a full-service commercial real estate brokerage firm serving domestic and international clients in South Florida announced today the relocation of its Industrial Division of ComReal Miami to the Miami Free Zone (MFZ) in the City of Doral. 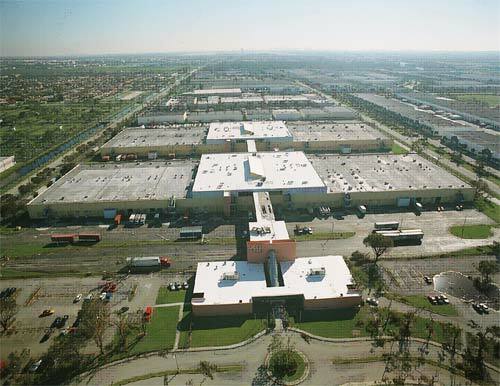 The name ComReal is synonymous with industrial real estate in the Doral and Miami Airport West Dade areas. They were visionaries in the original development of the district over thirty years ago, and then continued to provide industry-leading broker services during the area’s rapid growth period. Today, ComReal’s proven processes utilize their experience, market knowledge and state of the art resources to provide superior performance in understanding and delivering their client’s objectives. For several years, ComReal Miami has been working with the MFZ showcasing and leasing space in the MFZ because of the flexibility and ability to accommodate individual needs. By moving their own offices into the MFZ, ComReal principals are investing in their commitment to changing business practices. Another factor that drove ComReal to make the move into the MFZ is the expected growth of its client’s international business and opportunities. The premium services provided by the MFZ and the convenience of its location are key drivers attracting increasingly more international trade companies to Miami. The free zone is an ideal location for international businesses seeking economically affordable showrooms, offices, and warehouse spaces, while enjoying the benefit of less tense custom and taxation jurisdictions. “The Miami Free Zone gives us the opportunity to be even closer to other businesses involved with international trade, such as manufacturers, logistics, importers and exporters, freight forwarders, and their respective service providers,” said Edward Redlich, SIOR, CCIM, Executive Vice-President and Director of the Miami company’s Industrial Division. ComReal offers its clients a comprehensive range of services and stands ready to serve the globalization of its corporate clients in the international marketplace. The MFZ is known as a premier location for international trade, which offers unsurpassed exposure to thousands of foreign and local business owners who visit the zone every year. “By being within an active foreign trade zone facility, ComReal and its client’s are in a prime position to explore new markets efficiently, while saving money”. said Arcelio Gerardo, General Manager of FTZ World Services, LLC., the operator of the Miami Free Zone. The Miami Free Zone ( www.MiamiFreeZone.com ) is an 850,00 sq. ft. facility consisting of both office and warehouse spaces. For over thirty years The ComReal Companies have played an integral role in the commercial real estate development of South Florida. If you would like to discuss employment opportunities, available office and warehouse spaces, trends in the marketplace and/or just the real estate market in general, please contact Ed Redlich, Vice-President at 786-433-2379. There is ComReal. They are an international real estate company. You guys are dumb as foxes. The new office is brilliant!